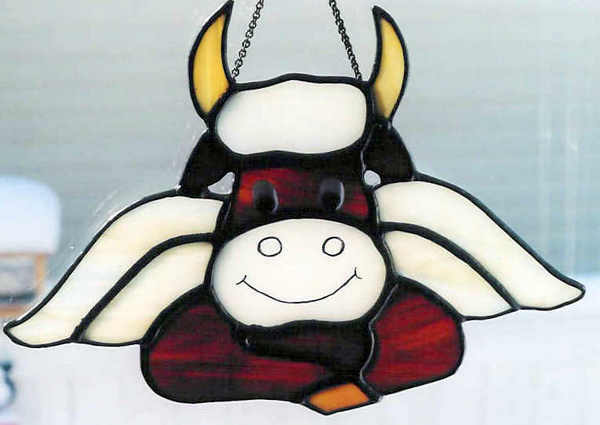 Cow angels are enjoyed by many who grew up or who are still living on farms and ranches. 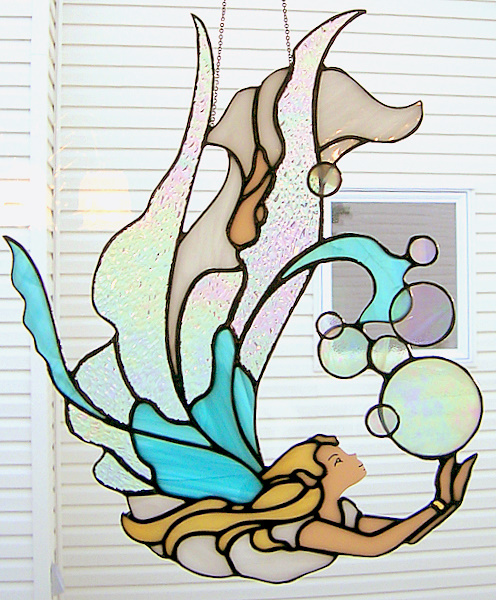 We attach Wiggle Eyes which gives a comical feeling to this stained glass sun catcher. 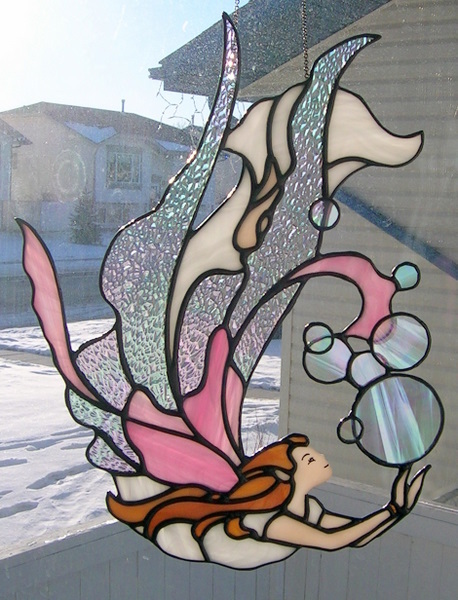 In late 2007 we purchased the glass and supplies of a retiring stained glass artist. This lady had made this angel but it needed to be rebuilt and we said we would be glad to fix it for her. The first picture is of the restored angel and the second picture is the angel before being repaired. We made some of these using pinks, blues, whites and greens in 2003. 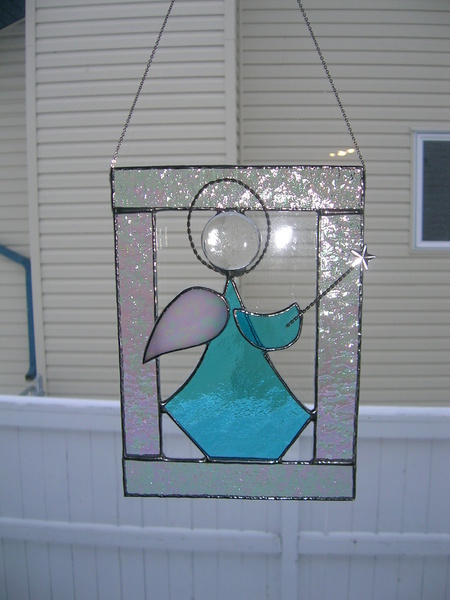 By using various clears and iridescent clear glass for the angel wings then each angel takes on a different feel. 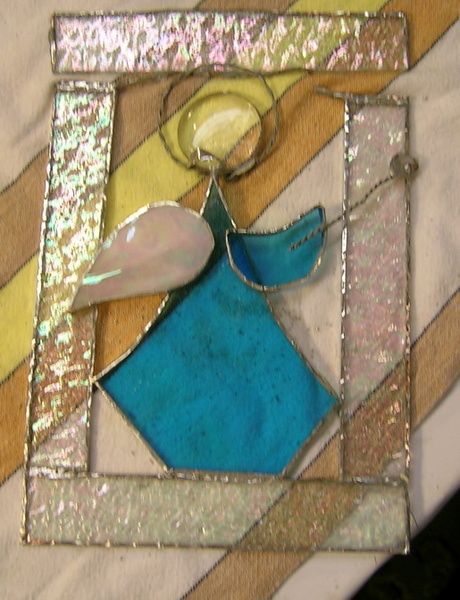 A glass nugget is used for the head with twisted wire for the halo. 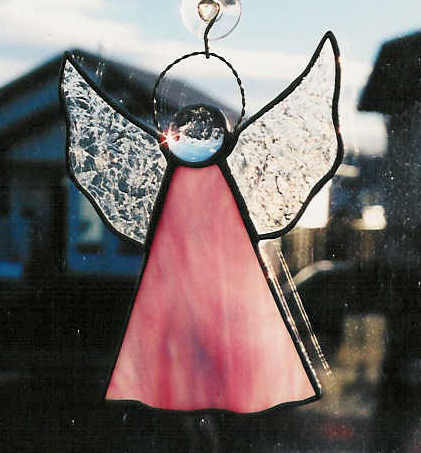 We started making these small Mini Angels in 2009 after Flory received a similiar one in Montana as a gift. We changed the design to our liking and make them with lots of different colored glass and various clears and iridescent wings. 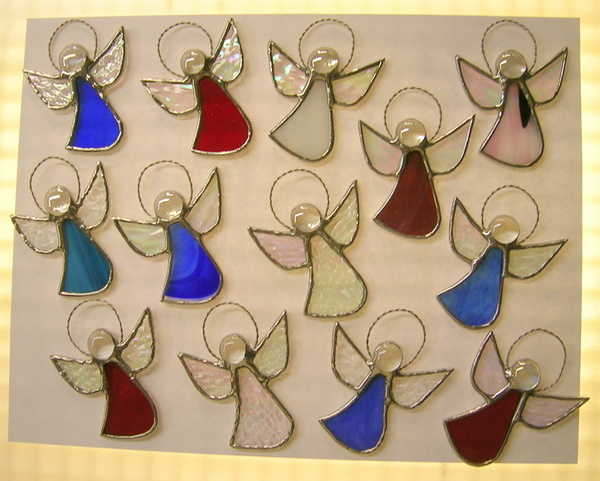 These angels are small and light enough to be used as Christmas Tree Ornaments if desired and then also as a sun catchers for the rest of the year.